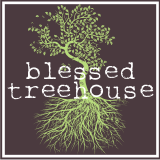 Blessed Treehouse: If you expect me to sit here and look cute . . .
. . . you better give me some food.